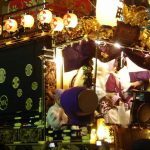 11 Apr Edo Bayashi T-1: It’s Time! 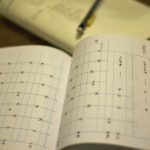 Alexa again – we’re just a day away from Suzuki-sensei’s arrival, so I’m back with a few thoughts and updates leading into this week! 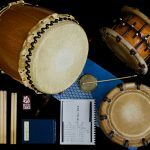 Improve taiko players’ shime execution and improvisational skills. 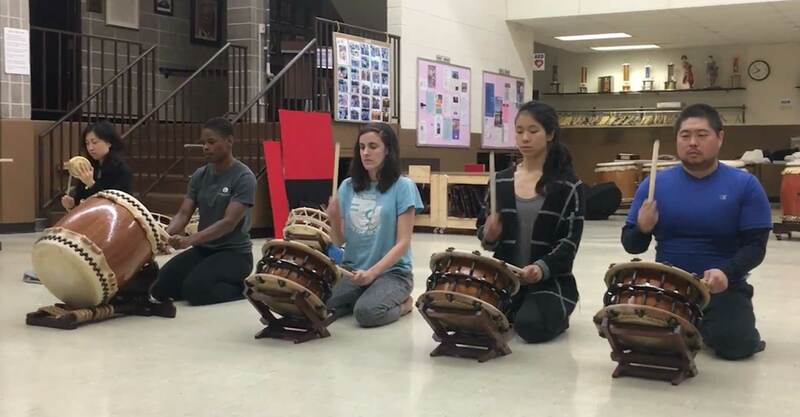 Now that the bulk of preparation is behind us, I’m able to more clearly see the benefits of learning music that originates from more than 300 years ago. 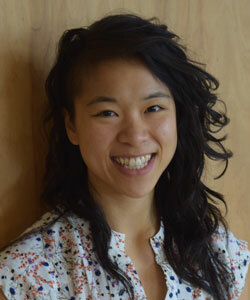 We’ve gotten to study and appreciate Edo Bayashi from both musical and cultural perspectives. 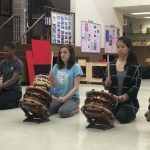 We’ve been taking 1:1 lessons with Eien to focus on the details of how we communicate Edo Bayashi, from how we kuchi-shoga to how and where we play our taiko to infuse our sound with a lively spirit of matsuri. Along the way we’ve been sharing what we learn with the community — online, in-person, and (soon!) through performance. It’s also helped us get better at learning as a group. 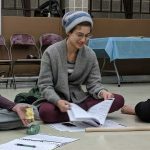 Starting with Dana’s translation of the music and Tiana’s plan to democratize the learning, we’ve been actively sharing our observations and tips with each other as we go. 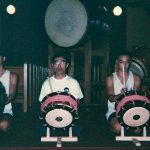 Some of the tips relate to the music itself, and others relate to how to mentally lock into the music to ensure precision. Through all of this, I see us getting stronger as individuals and as a group. 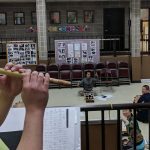 Some of our members say that internalizing the unique phrasing of Edo Bayashi is helping them learn other pieces faster and compose new music that’s more distinct and complex compared to before. We’re also noticing that the precision and dexterity of our shime technique has improved. I personally see the way we’ve been supporting each other to learn as some of the most valuable growth, teaching us to lead and learn through music as partners with a common goal. 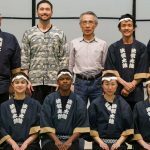 Despite all the good feels, we’re also quite aware of the wide gap between Suzuki-sensei’s mastery and our beginner’s zest for Edo Bayashi. 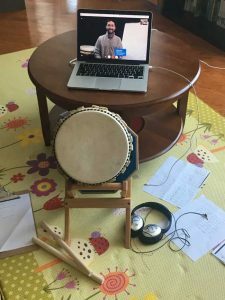 We’ve heard that during our workshop we can expect him to use the hyoshiban to play all the parts – singing the fue part, playing odaiko with one hand and shime with the other – while simultaneously scanning the room to pick out what each and every student is playing and provide feedback. Like, what?!? Just hearing about that level of mastery is downright baffling. To sum up, we’re proud, nervous, and excited about this next week. We hope you’ll join us this Saturday to present Kyosuke Sensei and the fruits of our Edo Bayashi journey so far.